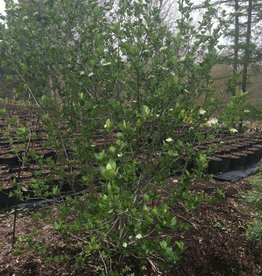 This native shrub forms a colony and provides wonderful summer cone shaped white flowers. 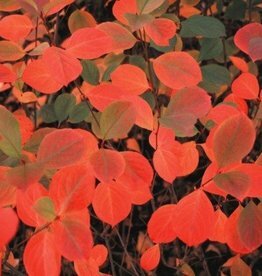 Native shrub that really delivers- White flowers, red berries and brilliant, hence the name, red aornage fall color. Birds like the berries as much as we do too! 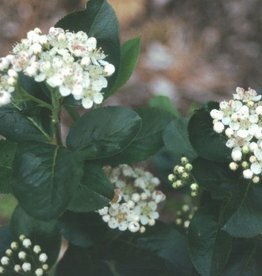 Native shrub with white flowers and black berries in the fall. Great for naturalizing or bank stabilization. Reported as not favored by all deer but the Behmerwald deer population does like them. 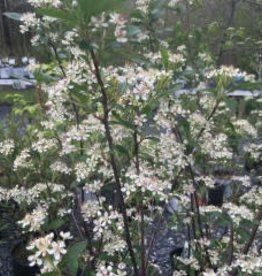 Selection of a tough Native shrub with white flowers and black berries in the fall. Great for naturalizing or bank stabilization. 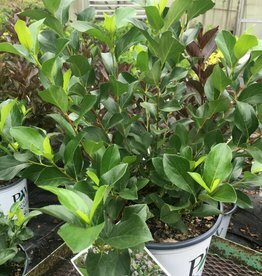 This selection has a nice tight upright growth habit. 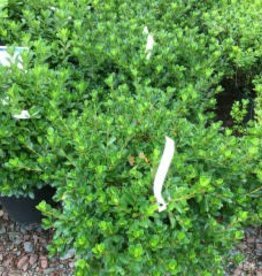 Great plant for a natural hedge or screen. 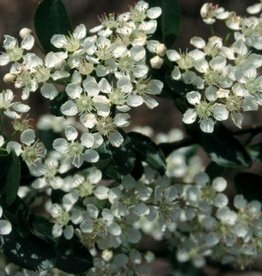 Selection of a tough Native shrub with white flowers and black berries in the fall. Great for naturalizing or bank stabilization. 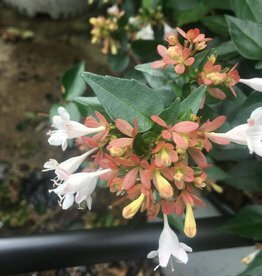 This selection has a compact growth habit. 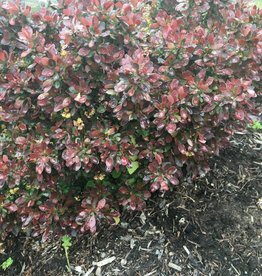 Great plant for tough spots, will grow almost anywhere. 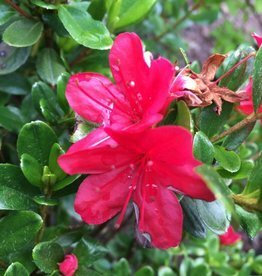 Exbury azaleas are terrific for adding spring color to a garden bed. 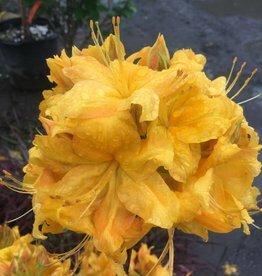 The plants are bareley noticed until the explode with their large flowers. 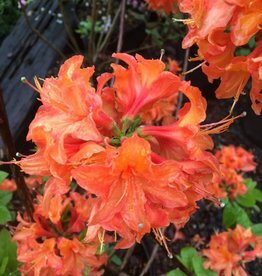 Great deciduous azalea with showy mandarin orange flowers appearing before the foliage. 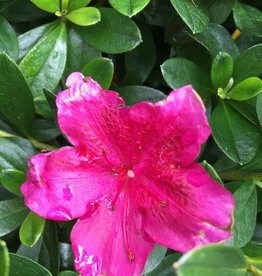 Really nice in mass plantings. 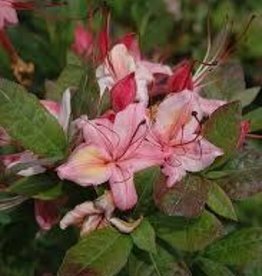 Beautiful bright pink fragrant flowers with long stamens make this plant rock the garden! 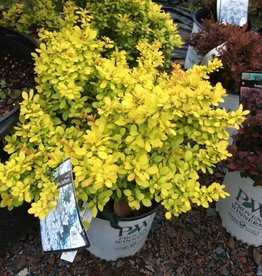 A true dwarf barberry! 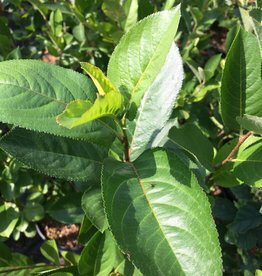 Also does not produce many berries and less likely to spread. 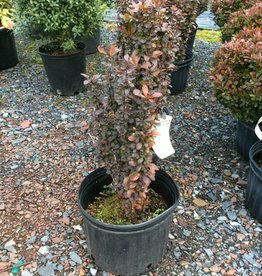 Nice narrow growing form of barberry.